Health Social Innovators, a pioneering accelerator programme for social ventures in health, launched last week with seven exciting ventures. The programme is a collaboration between UCL Business, Healthbox, Numbers4Good, Trafford Housing Trust, and Janssen Healthcare Innovation, with backing from the Cabinet Office’s Social Incubator Fund. Seven social ventures have been carefully selected for the programme by this group of social and healthcare sector organisations, based not only the entrepreneurs’ experience in building innovative healthcare solutions but also their ability to create significant and long-term social impact at the community level across the UK. To support the programme, Cerner, a leading global health information technologies company, is providing Health Social Innovators with an opportunity to work in its Collaboration Centre, London, as well as sharing its healthcare IT market knowledge and experience. A closer look at the companies chosen for the accelerator shows how the healthcare industry is looking beyond its traditional relationships to identify solutions that both solve complex societal challenges and begin to explore future needs in an ever-evolving health and social sector. Sensewheel is a lightweight wheel for wheelchair users with embedded technology to measure how the wheelchair is being utilised, thereby gathering data to refine the individual’s rehabilitation programme using movement metrics. It has been designed by the BIG@PAMELA team based within the UCL’s Department of Civil, Environmental & Geomatic Engineering, and developed at the John Scales centre for Biomedical Engineering at the Institute of Orthopaedics and Musculoskeletal Science at Stanmore. RetVas is medical image analysis technology that screens for diabetic retinopathy, a leading cause of blindness in both the working age and elderly population and builds upon world-leading and patent protected research from the UCL Institute of Ophthalmology. 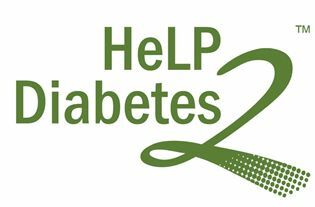 HeLP Diabetes delivers a web-based self-management programme and structured education for NHS patients with type 2 diabetes. The HeLP-Diabetes team are a multidisciplinary group including Clinicians and Academics headed by Professor Elizabeth Murray from the e-Health Unit, UCL Research Department of Primary Care and Population Health. This is just the beginning for the social ventures selected to participate in Health Social Innovators. The Programme will support these early stage innovations through an accelerator that establishes an enabling environment within which exciting ventures can challenge and learn from each other and scale their reach and impact. Based in a co-working space and with opportunities for our ventures to pilot in the community, Health Social Innovators is seeking to create the building blocks for lasting change in the healthcare industry.